Panthers promoter Ged Rathbone wants to make the new-look Premier League Fours the best meeting in British speedway. The annual event has been transformed into a two-day spectacular which will be staged at the East of England Showground over the weekend of July 23 and 24. All 13 clubs in the second tier will now take part in two semi-finals on the Saturday with the top sides advancing to a Sunday final. The second day will also feature an individual meeting involving two riders from each of the clubs who fail to make the Fours showpiece. That adds up to a total of 72 races during an event which is also set to feature stacks of off-track attractions. Rathbone said: “We are putting a huge amount of work into ensuring the Fours becomes one of the biggest meetings on the British calendar - and I also want to make it the best. “We’ve got more than 50 riders, representing all 13 clubs in the Premier League, in the same place at the same time, and at one of the finest tracks in the country. Before then, Panthers will attempt to capture the Premier League Pairs crown. 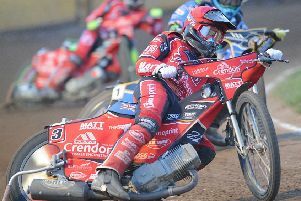 Captain Ulrich Ostergaard and fellow Danish rider Nikolaj Busk Jakobsen will represent the club in the annual event at Somerset next Friday (July 8). Panthers are not permitted to use number one Craig Cook due to the fact he hasn’t completed the necessary eight meetings for the club to be eligible.